You are here: Home / Is Your Sunroom Leaking? Does It Need Some Other Repair? Is Your Sunroom Leaking? Does It Need Some Other Repair? We are sure, if you have been phoning around to other sunroom companies, that you have had very little success in finding someone interested in helping you out – even the original company that built your sunroom. Well, you have come to the right place now. We will send someone over to repair it. We are the sunroom repair experts. 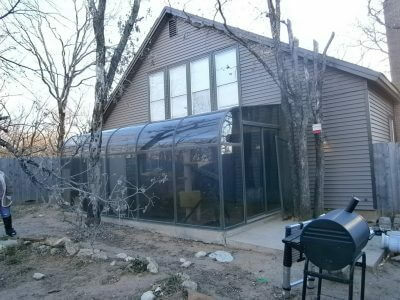 In fact, there are some sunrooms out there that if you don’t call us you’ll probably never get them repaired. Perhaps to other sunroom companies, the quick sale is all they want. Because when you call them to get service for your sunroom because of some problem, they desert you and leave you hanging. That’s “customer service” to them. That’s not the way we think. Our record with the Better Business Bureau proves it. We think customer service starts when the installation is finished. And we want your return business because we do more than just sunrooms. We can repair and remodel your home too. So call us at (972) 243-5390 to get your sunroom repaired. Does your sunroom need repair?